(by Thomas Sowell, Investor’s Business Daily) – Socialism sounds great. It has always sounded great. And it will probably always continue to sound great. It is only when you go beyond rhetoric, and start looking at hard facts, that socialism turns out to be a big disappointment, if not a disaster. While throngs of young people are cheering loudly for avowed socialist Bernie Sanders, socialism has turned oil-rich Venezuela into a place where there are shortages of everything from toilet paper to beer, where electricity keeps shutting down, and where there are long lines of people hoping to get food and complaining that they cannot feed their families. But the very idea of subjecting their pet notions to the test of hard facts will probably not even occur to those who are cheering for socialism…. Back in 1948, when inflation had rendered meaningless the minimum wage established a decade earlier, the unemployment rate among 16- to 17-year-old black males was under 10%. But after the minimum wage was raised repeatedly to keep up with inflation, the unemployment rate for black males that age was never under 30% for more than 20 consecutive years, from 1971 through 1994. In many of those years, the unemployment rate for black youngsters that age exceeded 40% and, for a couple of years, it exceeded 50%. Posted at investors.com on May 31, 2016. Reprinted here June 2, 2016 for educational purposes only. May not be reproduced on other websites without permission from Investor’s Business Daily. 2. a) Which of the following statements made by Thomas Sowell are new to you? CHALLENGE: Socialists point out the inequality of wealth, or the wealth gap between the rich and the poor. Those who say capitalism is the best economic system point out that the standard of living in free market (capitalist) economies far surpasses that of people living in government-run (socialist) economies. It is important to know the facts that support each side of an issue before forming your own opinion. 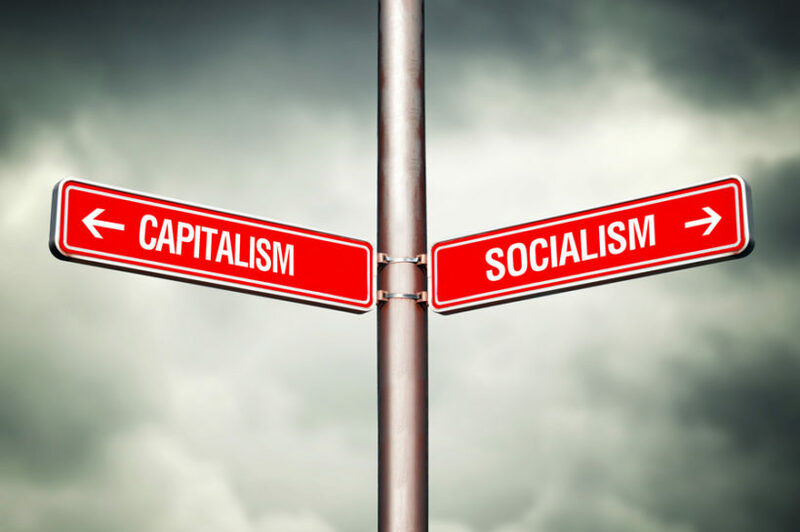 Pay attention to news reports: which side gets more coverage: those who support a socialist economy, or those who support a capitalist economy? Which side gets challenged and/or criticized by the media?